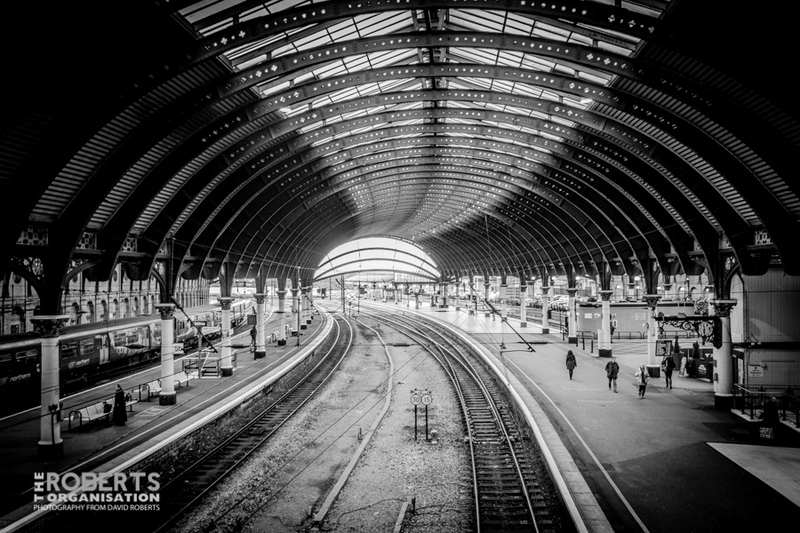 The vast expanse of covered roof at York Railway Station, a great example of Victorian engineering skill.. Platforms at Holyhead Railway Station. One from the Archives, taken in 2004. 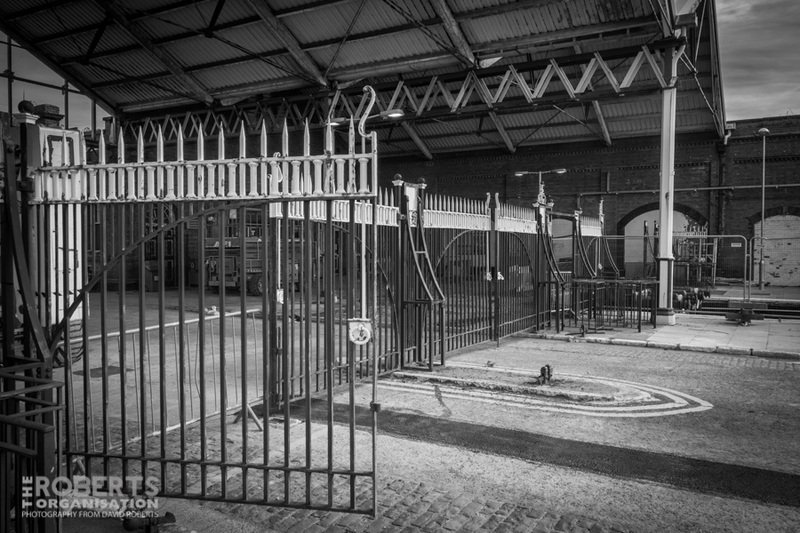 Original LNWR cast iron gates at Llandudno Railway Station. Llandudno railway station serves the town of Llandudno, Wales, and is the terminus of a branch line from Llandudno Junction on the Crewe to Holyhead North Wales Coast Line. It is managed by Arriva Trains Wales. The first station and the branch line was built by the St. George’s Harbour and Railway Company and opened on 1 October 1858. The trains at first ran to and from Conwy station until the completion of Llandudno Junction station. The line was soon absorbed by the London and North Western Railway, which in turn became part of the London, Midland and Scottish Railway in 1923. Vaughan Street in Llandudno was also laid out in 1858 as the station approach road. As the first station had become inadequate to cope with increasing usage, the present Llandudno station buildings and frontage together with five platforms and an extensive glass roof were erected in 1892 and the station still has the Victorian carriage road between the two principal platforms. Platforms 4 & 5 have been disused since 1978 and the tracks have now officially been declared out of use. The southernmost half of the glass roof was removed some decades ago, and the remainder was substantially cut back again in 1990. Half of the station frontage (including the former waiting and refreshment rooms) has been disused for years and was demolished in May 2009. 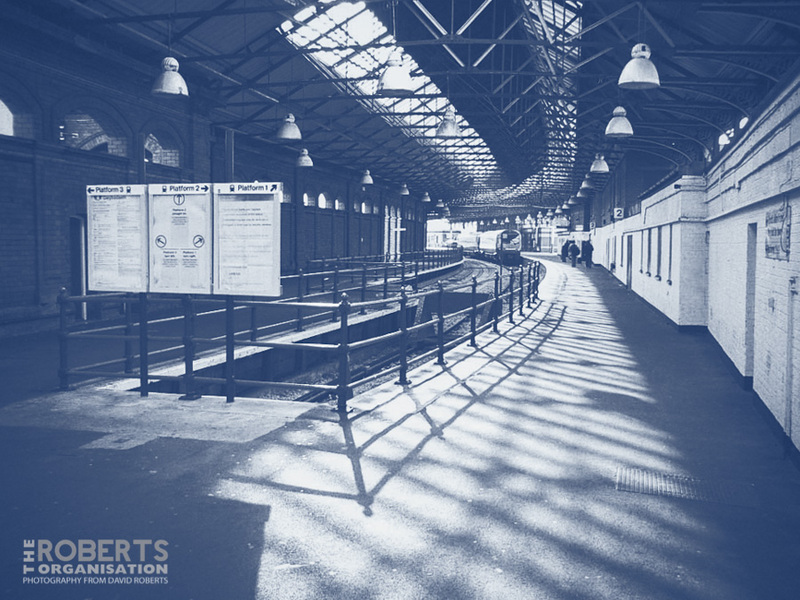 In recent years, plans were unveiled for the transformation of the station into a Transport Interchange, which would involve the demolition of the disused part of the frontage and the introduction of new passenger facilities. Following the provision of funding, reconstruction is now underway (2013). The work includes a 130 space car park, a glazed concourse, a bus interchange, new taxi rank, and a shop/cafe. There are also a new entrance and improvements to the platforms. 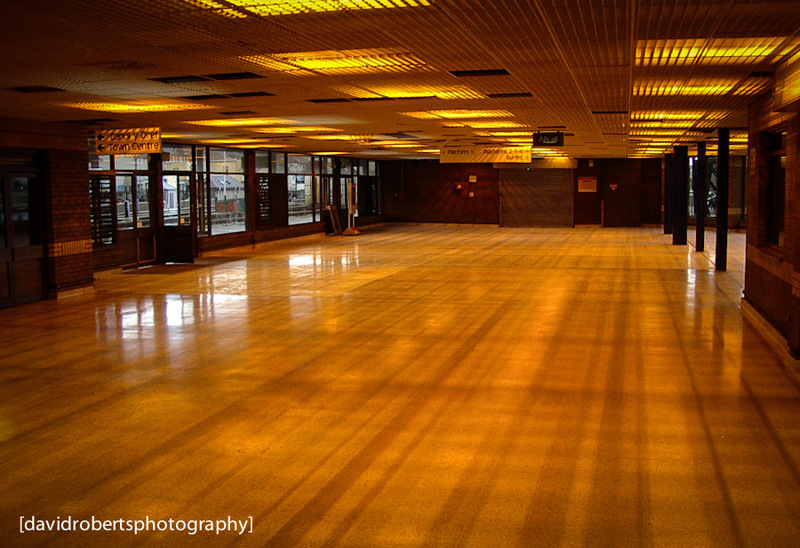 The old passenger Concourse at Holyhead Railway Station, seen here back in October 2004. 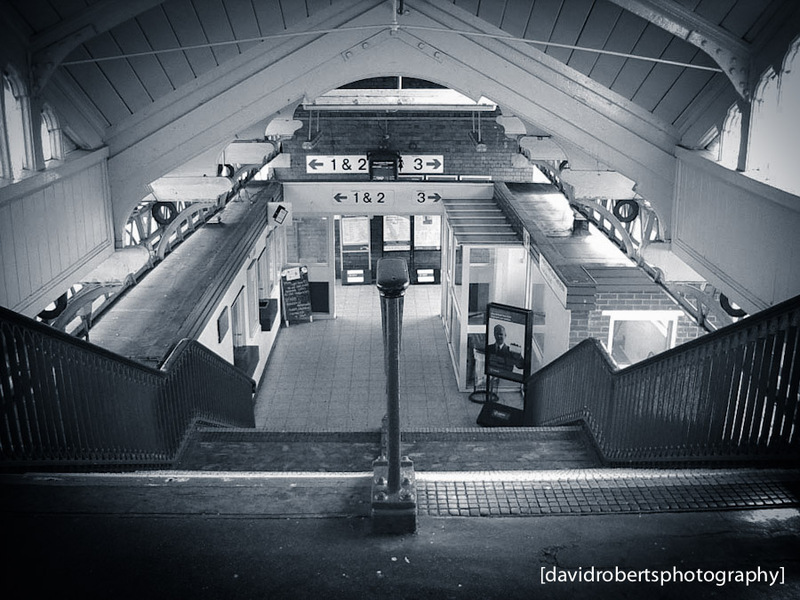 Looking down at the entrance to the Platforms at Llandudno Junction Railway Station early one morning in 2004.